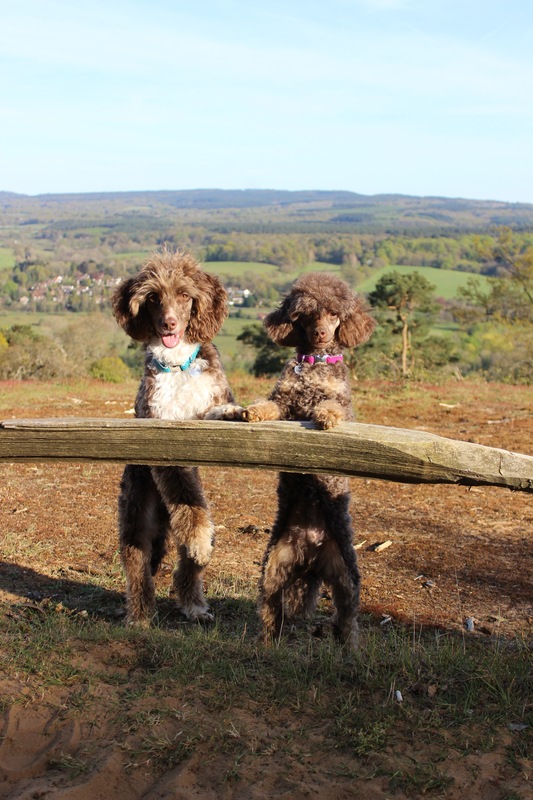 Doddle for Dogs – sell a unique collar/lead system. 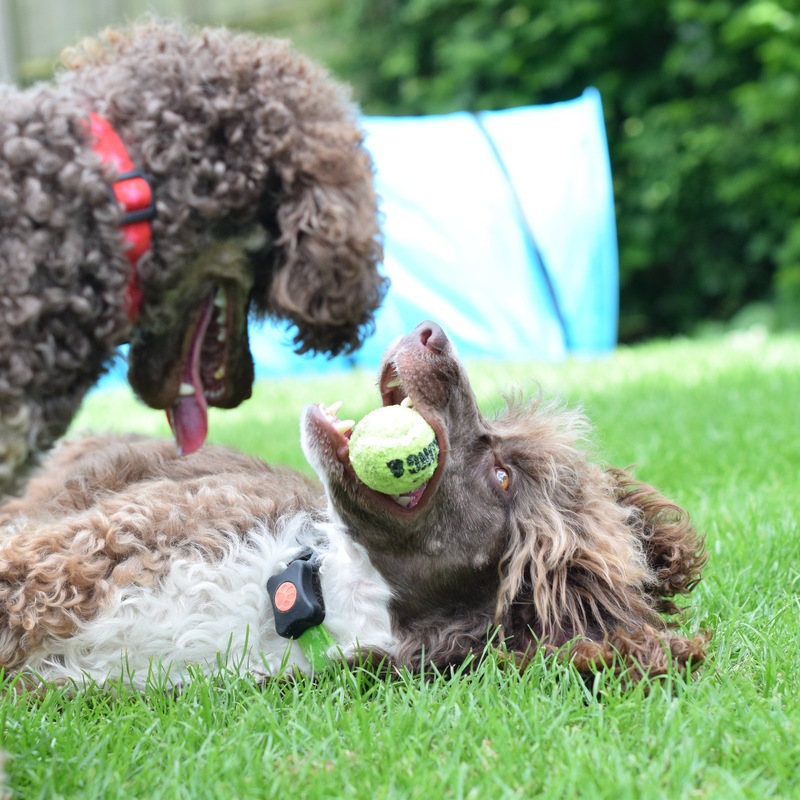 The Doddle is a small robust pod fixed onto your dog collar or harness. 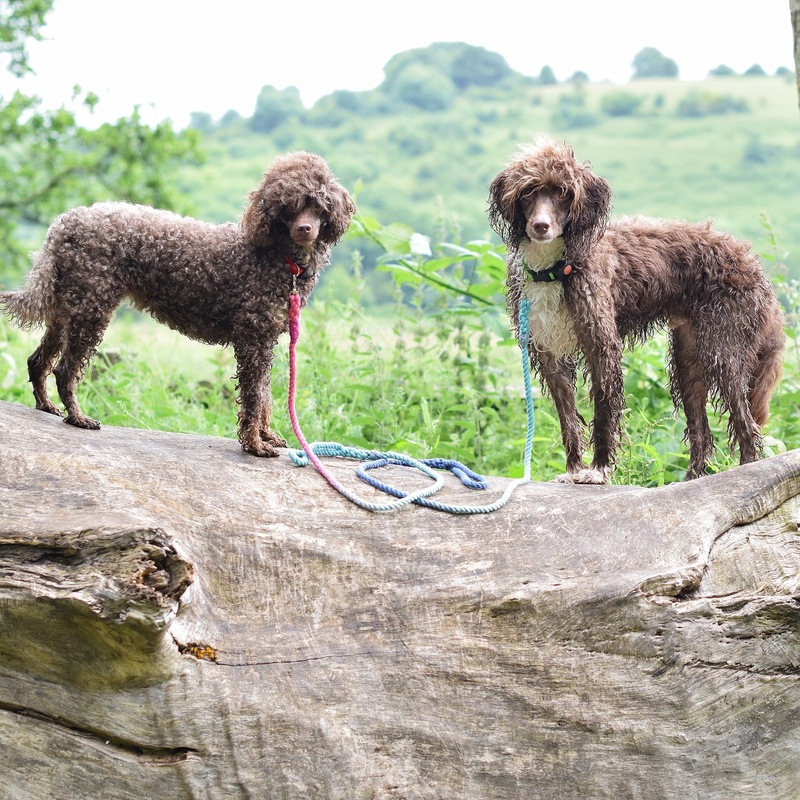 It contains a lead which springs in and out to a maximum length of 1m with a looped handle for immediate control of your pooch, for example if you need to quickly grab your dog as an unfriendly dog approaches you out on a walk, or, in Rhapsody’s case, she sees a nice clean lap to jump onto with muddy paws! 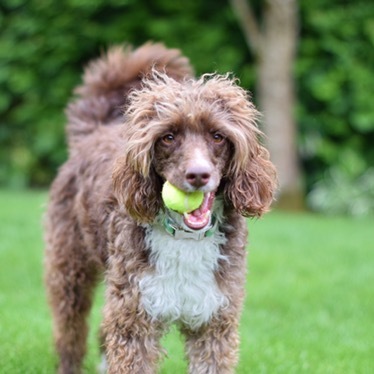 The Doddle weighs just 39 g and is about 5 cm in diameter, whilst this may seem rather bulky to the eye it certainly didn’t bother Tilly when she had it on! 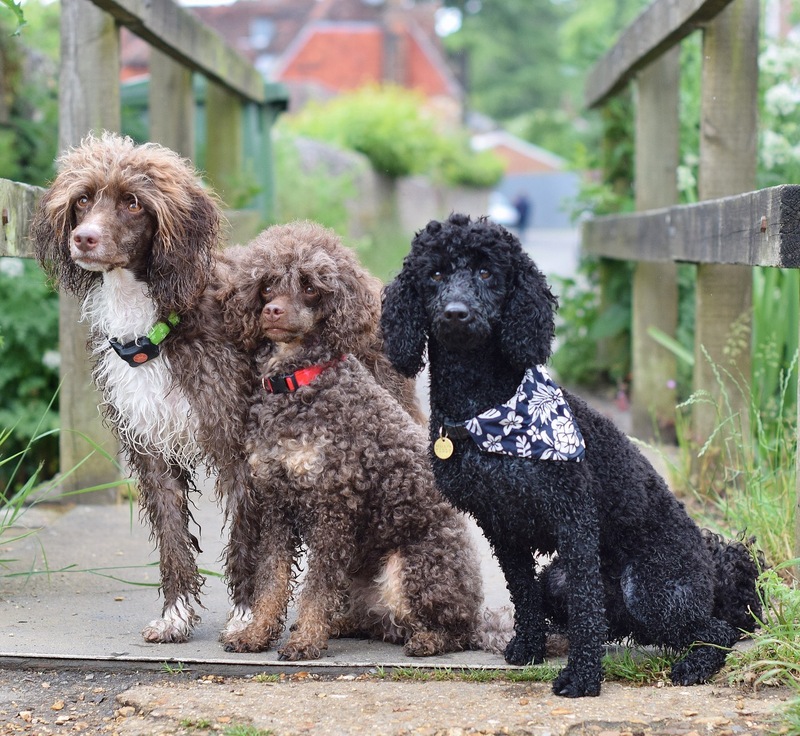 The Doddle costs £25 for either a collar with Doddle attached or a Doodle pod for you to attach to your own harness, we think it is a great idea, especially for those situations in which you do need to get your dog under immediate control. 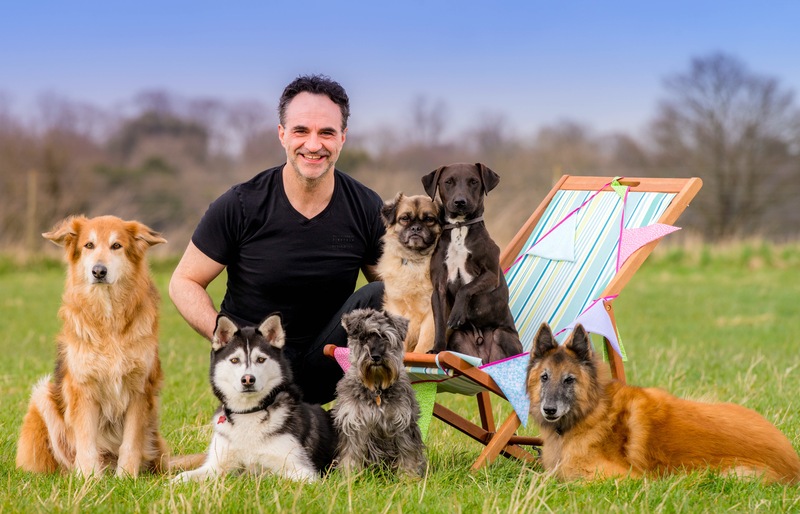 Wild Manor – sell indoor and outdoor pet furniture. Wild Manor brought a selection of their indoor and outdoor pet furniture to Dog Fest and we were really impressed at how unique their products were. They really stood out from the crowd and from our pictures I bet you can see why! 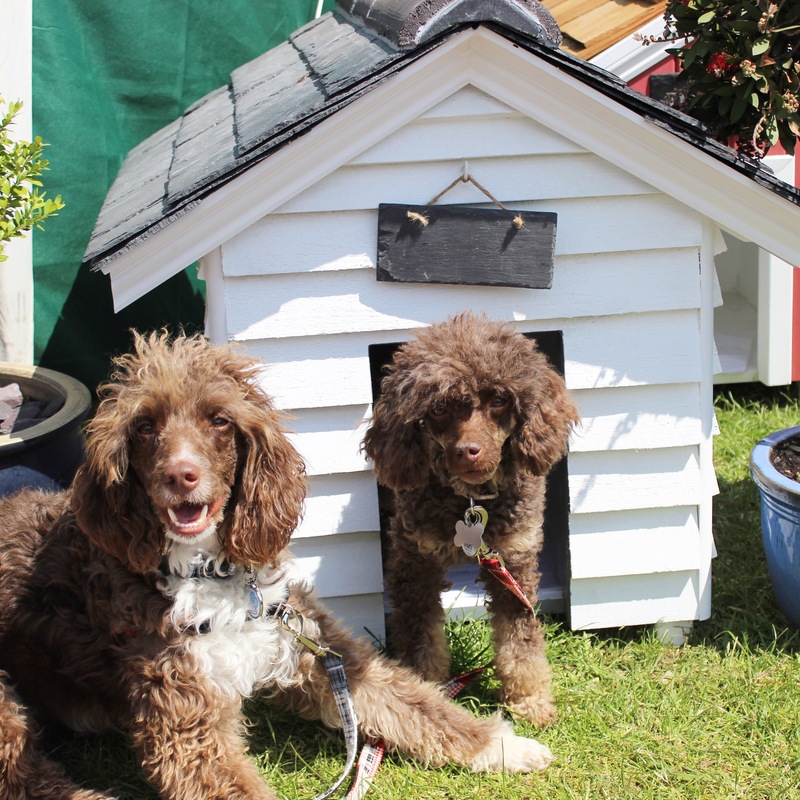 Our personal favourites were the rustic wooden dog sofa (RRP £165 – £270), the raise rattan dog bed (RRP £85 – £180) and the La Rioja wine barrel kennel (RRP £220 – £250). Their products are expensive but you have to remember that you are not buying a dog bed or kennel, you a buying a high-quality piece of furniture that will probably last your dog’s entire lifetime. These are investment pieces and we think they really offer something wonderfully different from your typical dog bed or kennel. Finer by Nature – sell yummy natural treats. 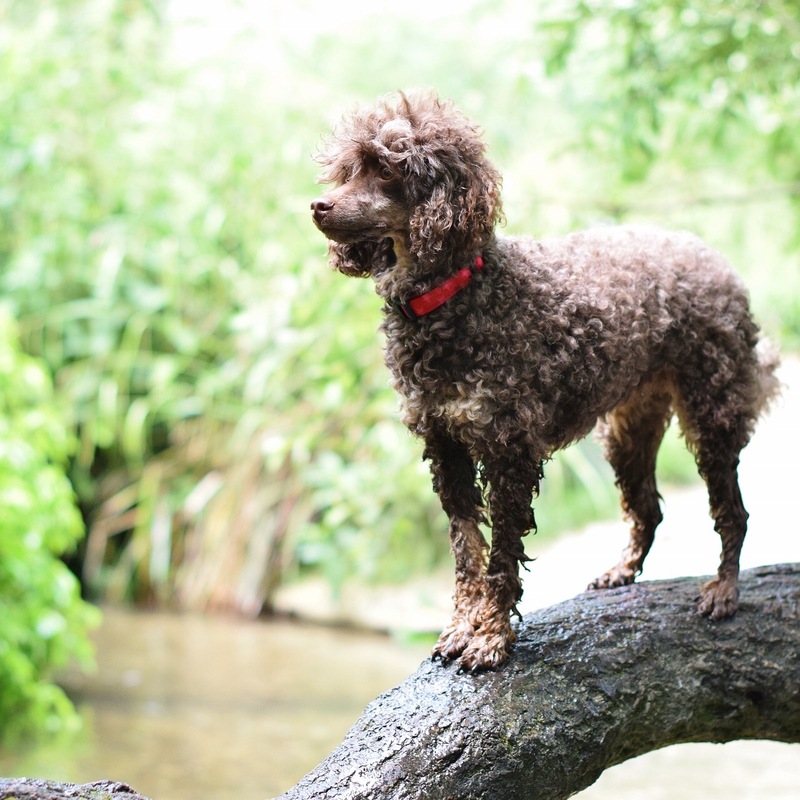 If natural dog treats are what you are after, then you should look no further than Finer by Nature. 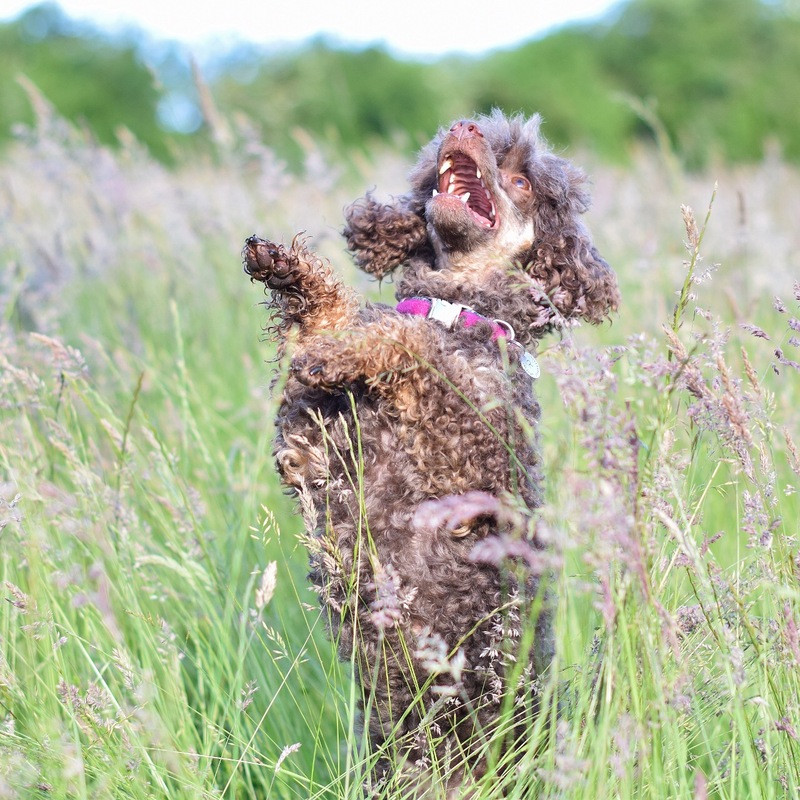 They sell the most fantastic range of natural dog treats from bully sticks to ostrich and venison rolls, from pigs ears to dried tripe sticks, Finer by Nature have just about every protein you can think of in treat form. 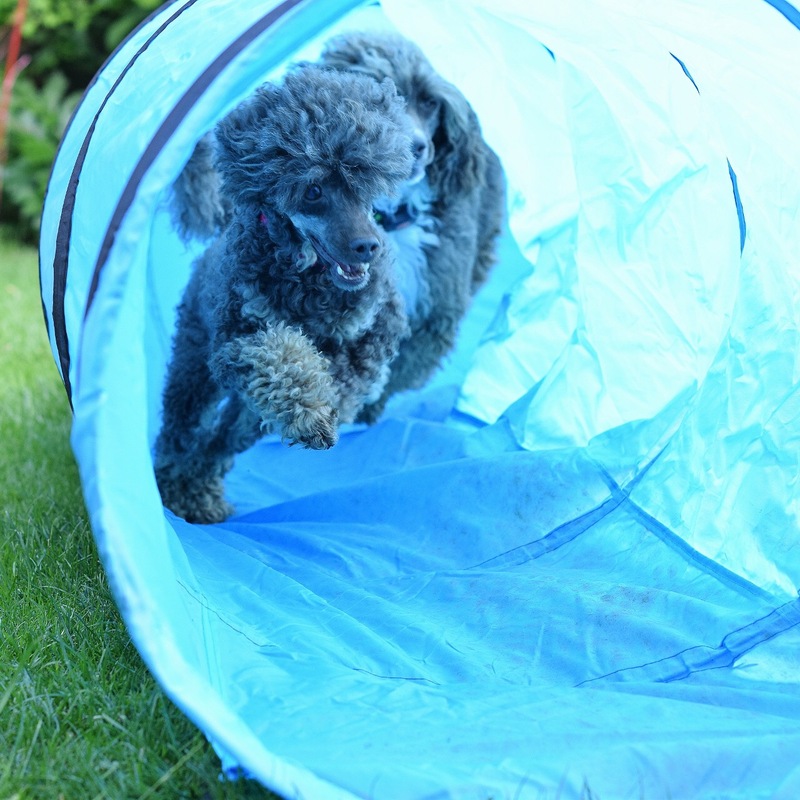 We especially love their Grab and Go “Tubbies” which come in a wide variety of flavours and are perfect for learning new tricks, agility training and photoshoots alike. 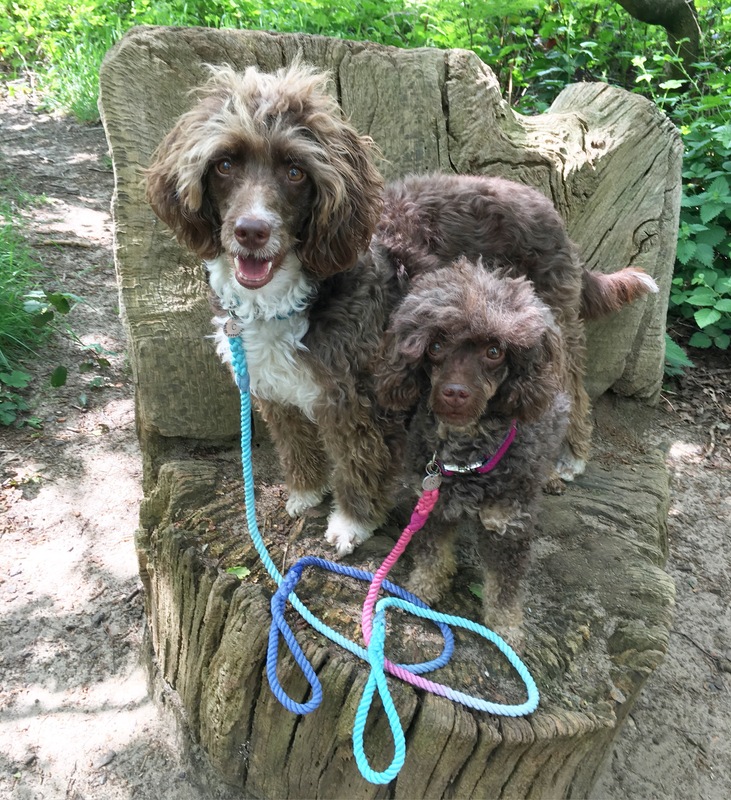 We have yet to find a flavour that any of us don’t like, including the mega fussy Desmond and Eve whose favourite is the black puddling treats, and they are very reasonable at £2.95 for a small tub (125g), £7.95 for a medium tub (500g) and £19.95 for the whopping 1.75kg giant tubs! 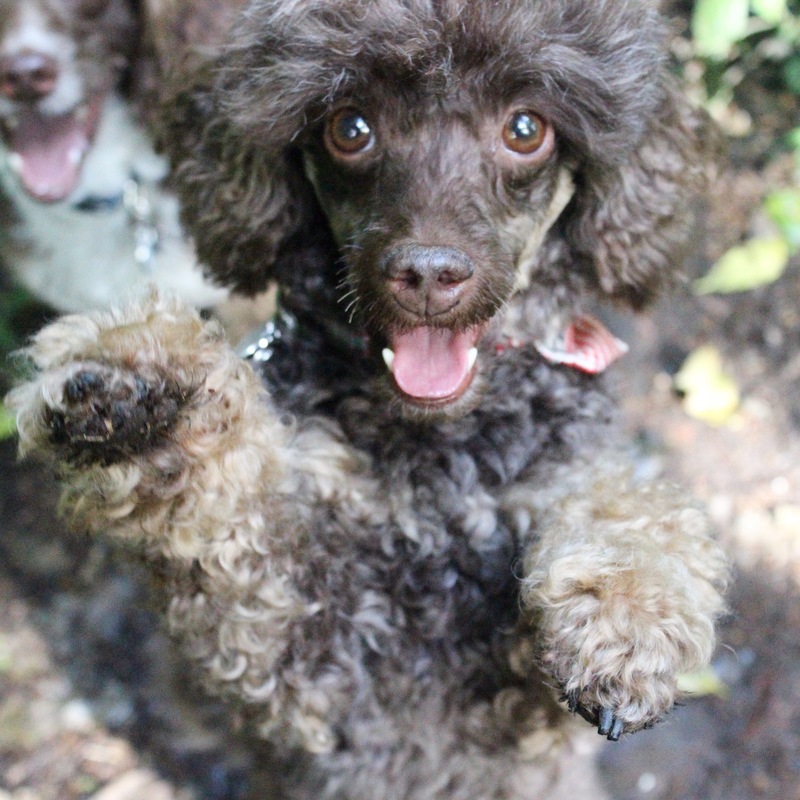 At shows they usually run a 3 for 2 deal on their treats which makes them even better value! 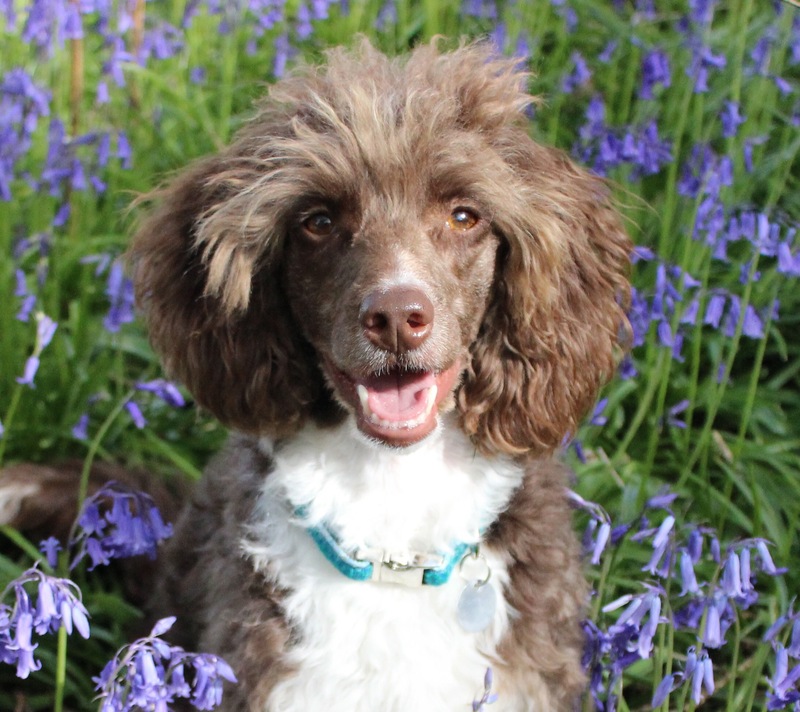 Gracie Lu – sell handmade pet beds. Gracie Lu caught our eyes on Sunday morning, following a busy day on Saturday we quite fancied a little nap and the Gracie Lu stall was in the right place at the right time. 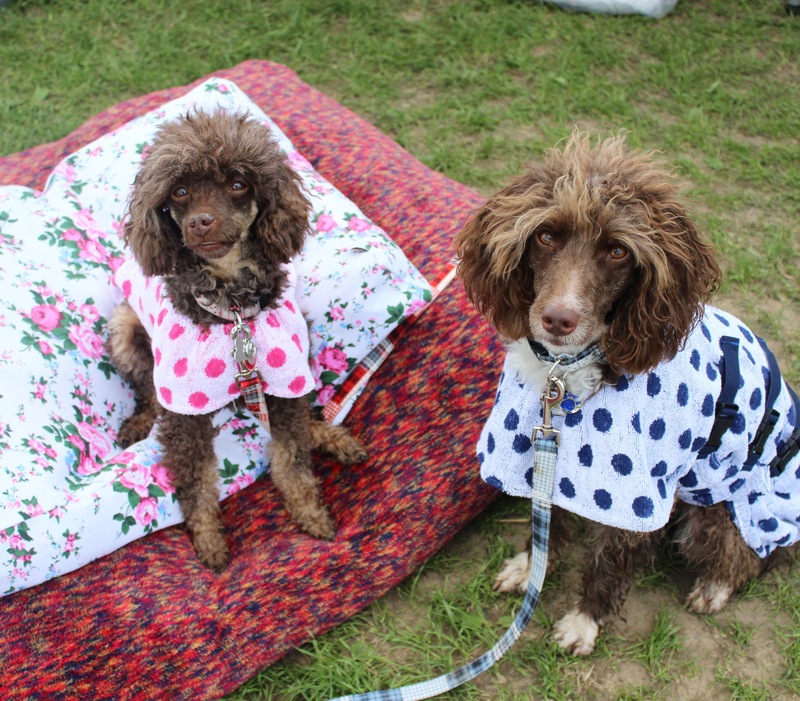 Their gorgeous, handmade beds come in the most stylish of patterns, our favourite is their floral range, with six different colours, each a delightful as the last, there is a bed to suit every home décor imaginable. Their beds range from £45 to £76 depending on size and can be filled with a choice of feathers or hollowfibre. We can also confirm that they were wonderfully comfortable, the perfect place for a quick power nap! Gracie Lu also sell cushions and blankets that complement their beds beautifully. 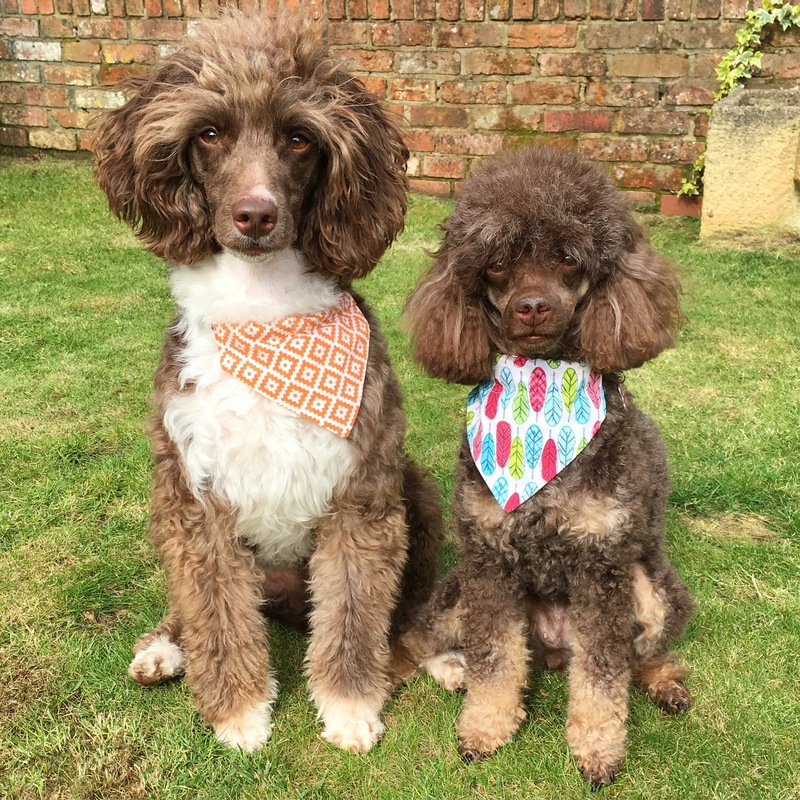 Koco Kookie Kreations – sell handmade pet products including coats, scarves, bandanas and blankets. We were drawn to Koco Kookie Kreations because of their coats. 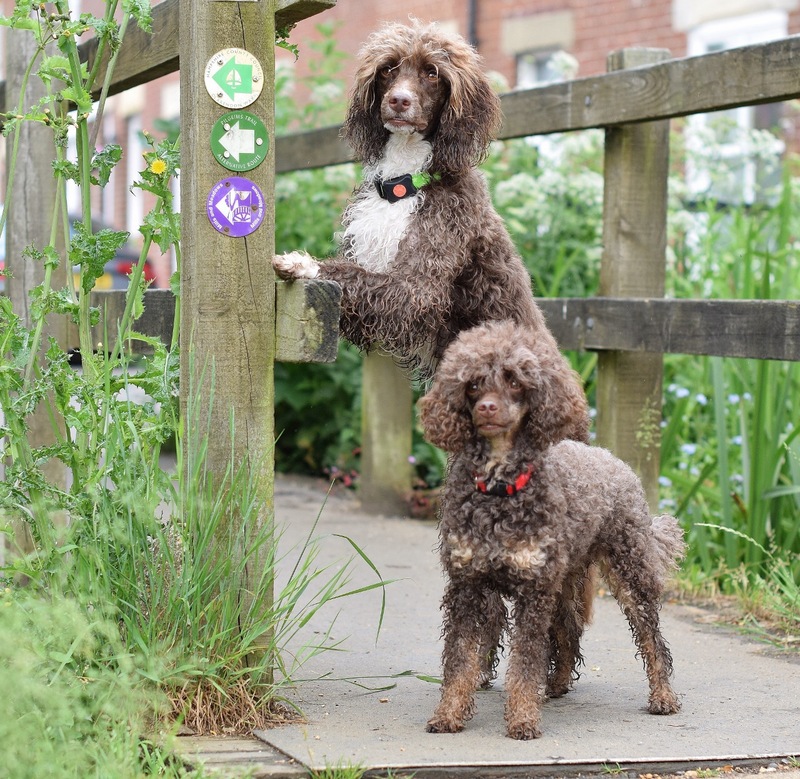 We have issues finding coats that fit us because we have fairly long bodies but narrow chests, we had never previously been able to wear a coat “off the rack” so we were very impressed that the coats at Koco Kookie Kreations fitted both of us! 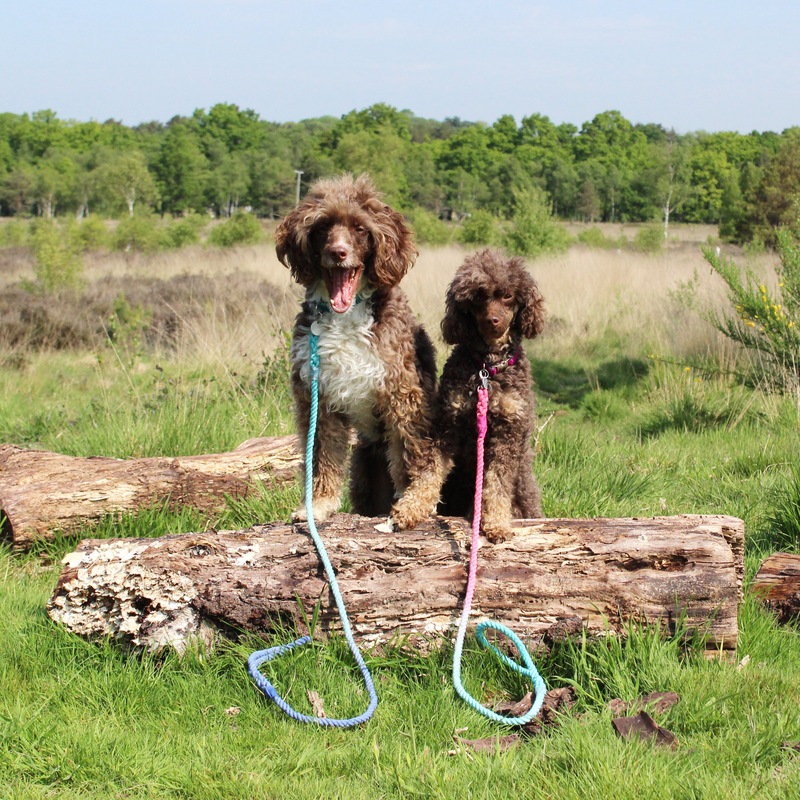 Their coats are fully adjustable as well as being waterproof and fleece lined. 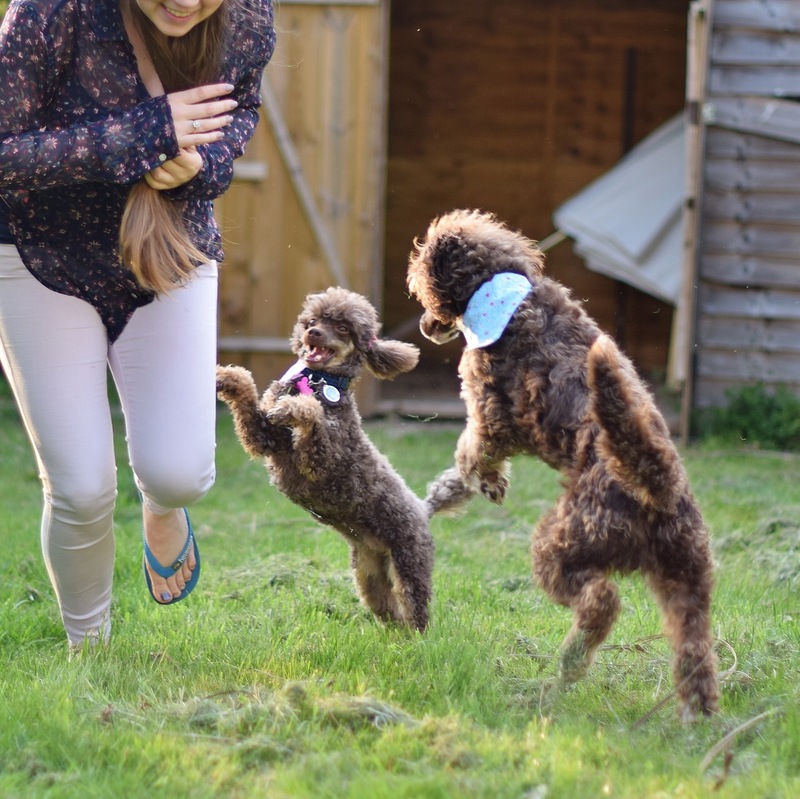 They come in a variety of funky designs and are reversible so when it is not raining they can we worn with the colourful fleece lining on the outside which looks rather cool! 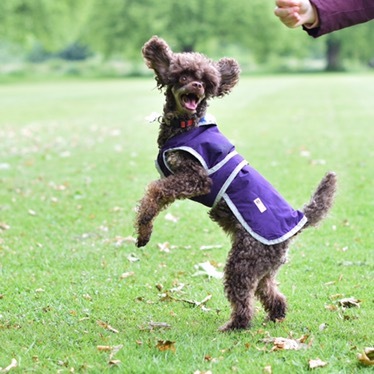 The coats start at just £11 for an XS, up to £22 for an XL which is a great price especially for such a high quality, handmade coat. 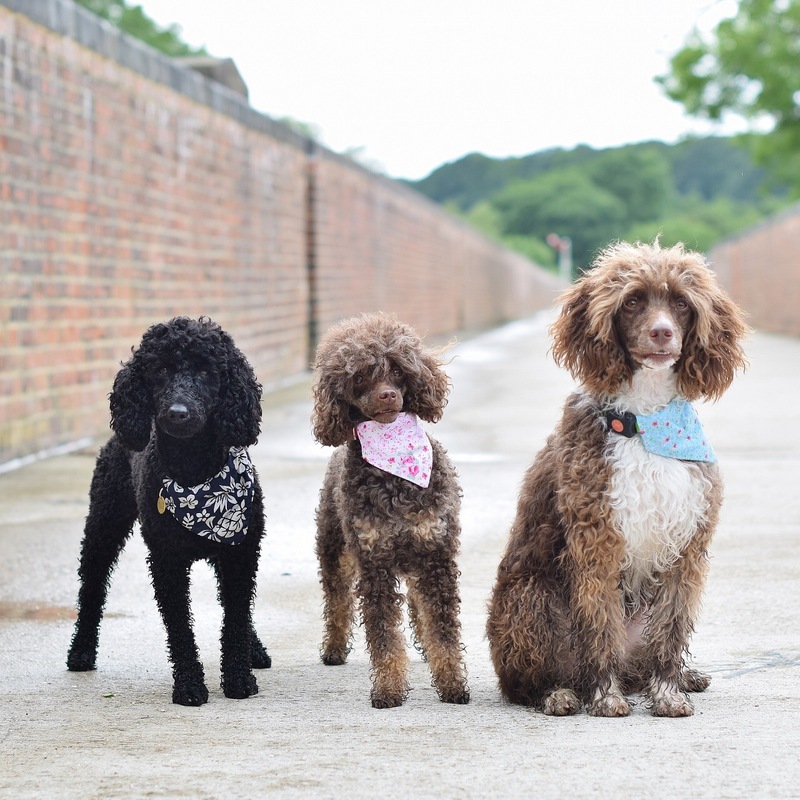 Koco Kookie Kreations also sell a range of other accessories which are equally as cute and functional including their very stylish doggy scarves! 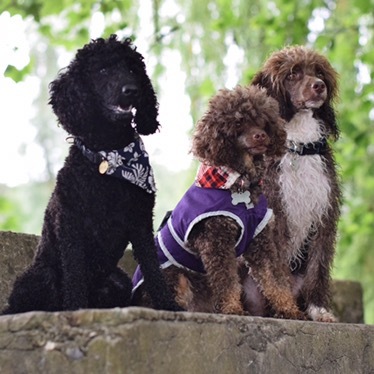 Barkbites – sell premium subscription dog treats. Barkbites is essentially a Graze Box for dogs. 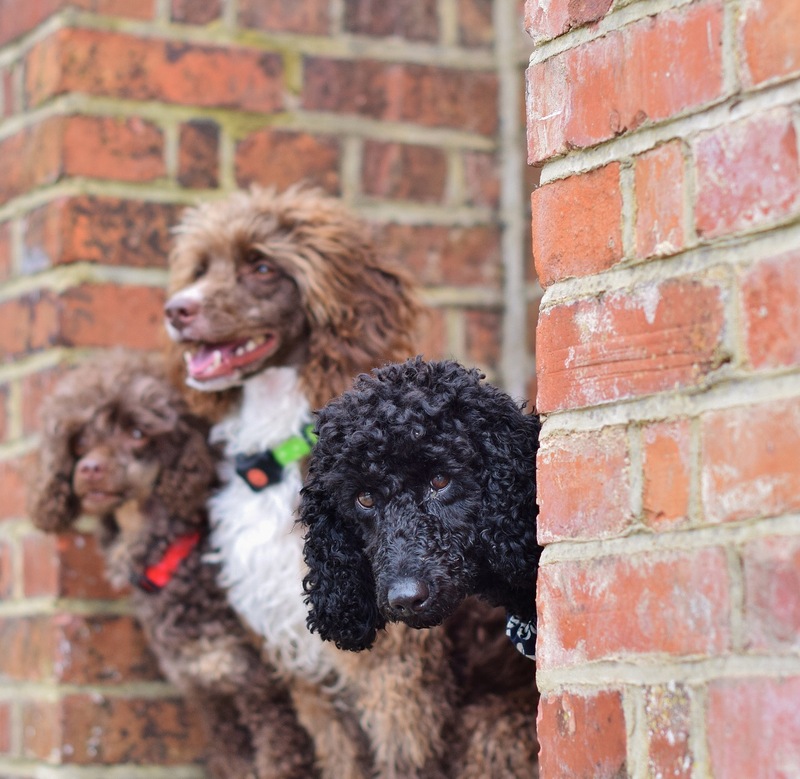 You select the size of your dog(s), you can then deselect any treats that your dog would not like/cannot eat so that these do not get send in your box, you tell the how often you’d like a box delivery and then your sit back and wait for your box of yumminess to arrive. 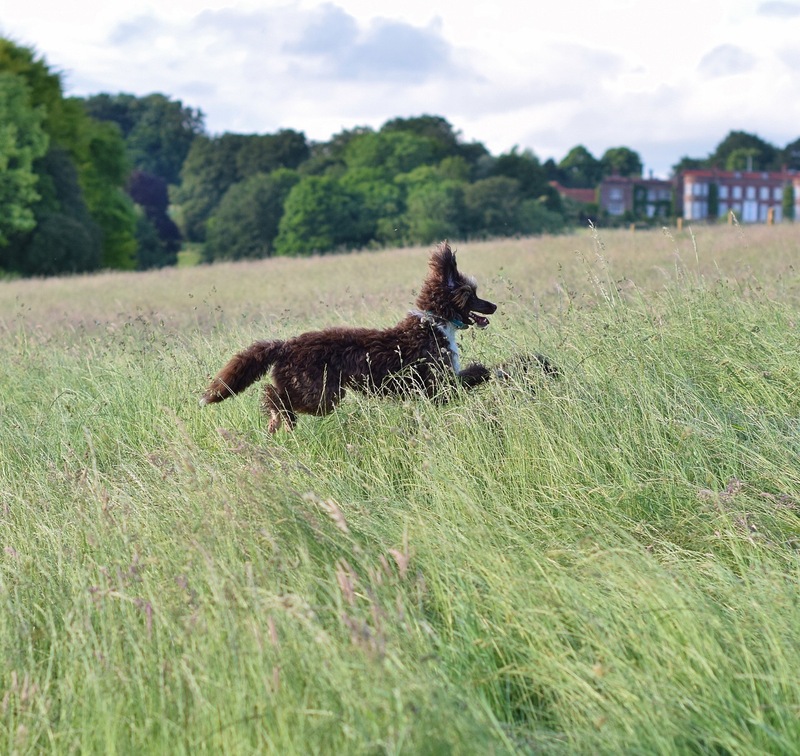 There are 48 different treats that could possibly be sent in your box (obviously less if you deselect any) and these cover a range of categories; Digestion, Weight Control, Skin and Coat, Teeth and Gums, Bedtime, Training, Vitality and Immune and Joint and Mobility. We tried a number of the different treats on Sunday and they were all a hit which means they must be doing something right! We think this is a great idea and love that you get three different treats in your box every time! Prices start at £5.49 for a weekly box or £5.99 for a fortnightly box and you can get 50% off your first and fifth box with the code SWELL516. 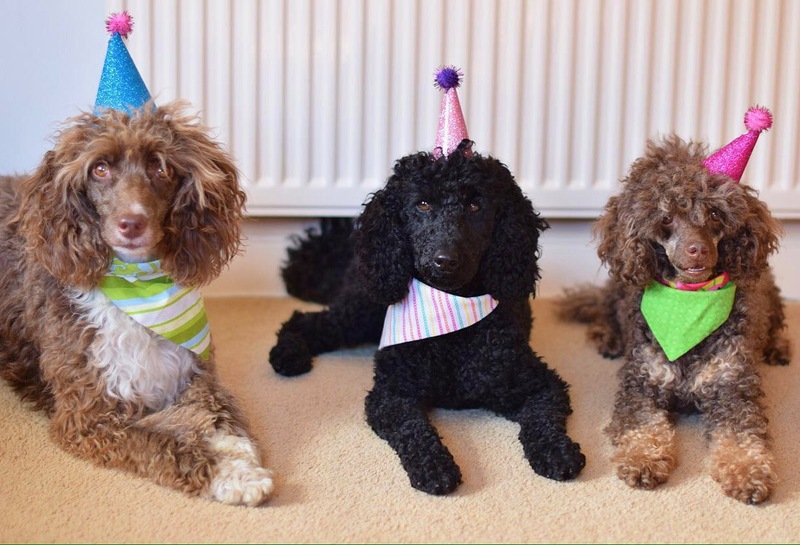 In honour of Tilly, Colin, Rhapsody, Des and Eve’s birthdays this summer, and to carry on the tradition of doing something charitable that we started last year with our big charity donation to Poodles In Need, we have decided to hold a charity auction, this year, in aid of Poodle Network UK who do amazing work across the UK rescuing poodles of all sizes. We want to make this year bigger and better than last year, it’s going to be tough but we’re up for the challenge! Our aim is to raise £500. This may seem like a lot but, with all your help, we are confident we can achieve it! Right now we need all your help to get as many donations as possible to auction off. 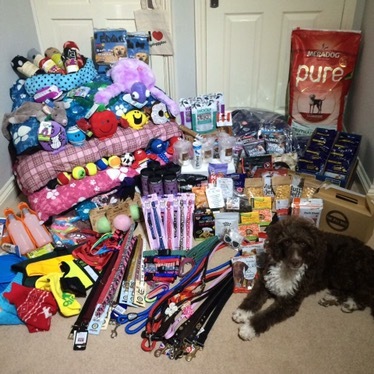 We already have a nice little pile of goodies building up here at AoD HQ that we are personally donating but we would be eternally grateful for anything you can donate; whether you own a small business, work for a big company or would like to personally donate, no item is too big or too small! 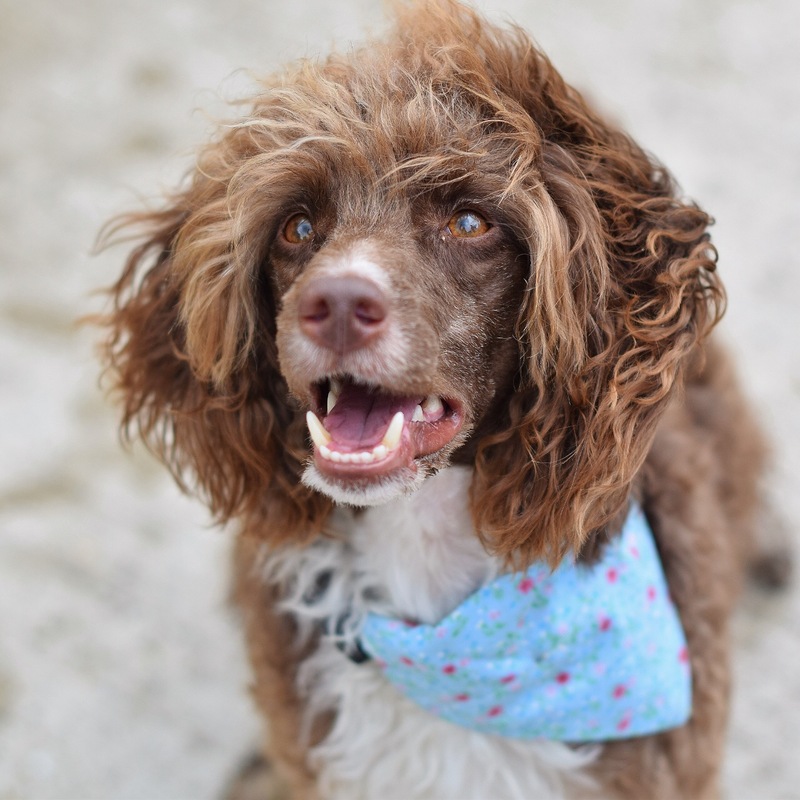 If you’re interested in donating please email us at adventuresofdoodles@hotmail.com or send us a message on Facebook or Instagram. Thank you in advance, we really appreciate it. If you cannot help by donating then please help us spread the word on social media. Share our event on Facebook, use our hash tag on Instagram or simply tell your friends, we really want to hit, and possibly surpass, our £500 goal and we can only do that with your help! Click here for a direct link to the Facebook event! 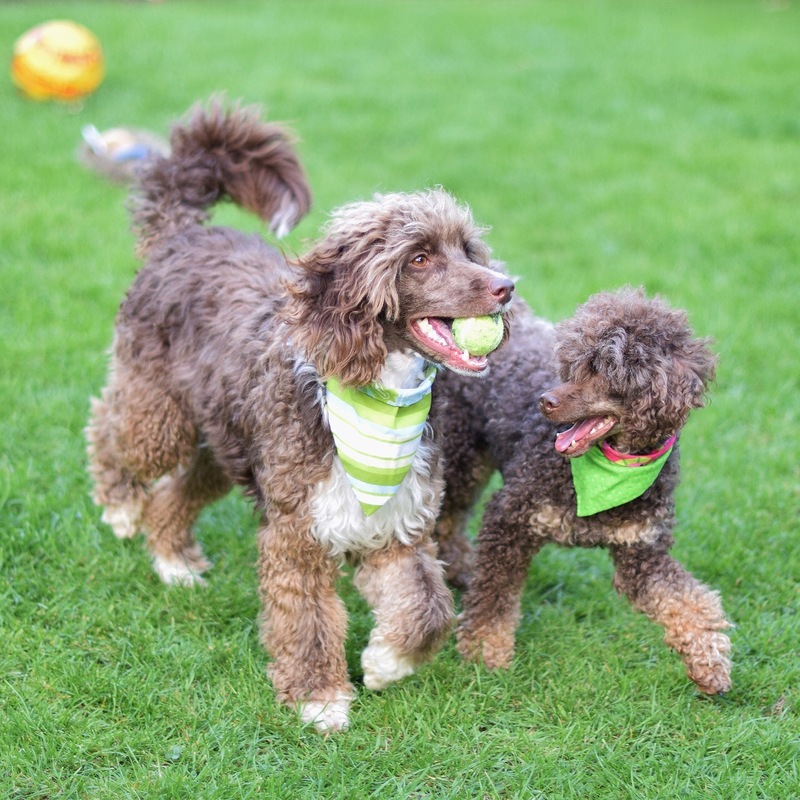 First off, a big thank you to Nutriment, we’re thrilled to have them on board for this little project. 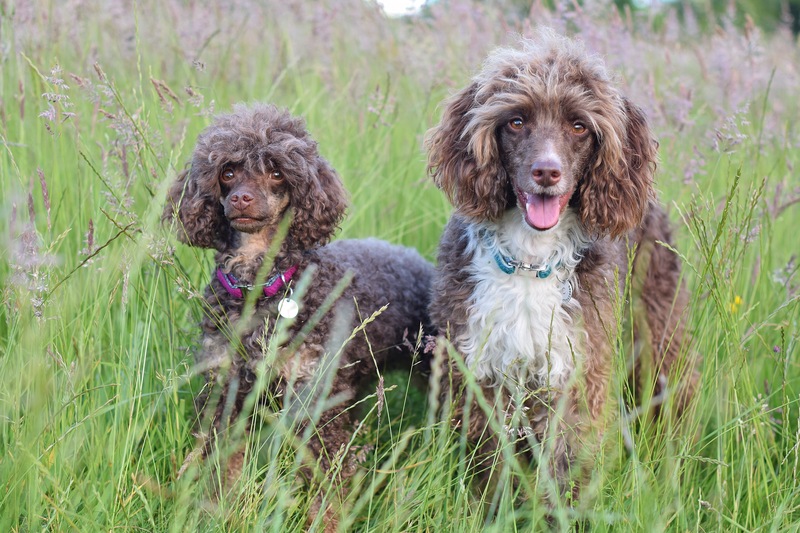 As we’ve started many times before; our aim is to help show people that raw feeding can be an easy and inexpensive alternative to kibble and to encourage people to make the change to raw. We would not be able to do this without your support, so thank you. 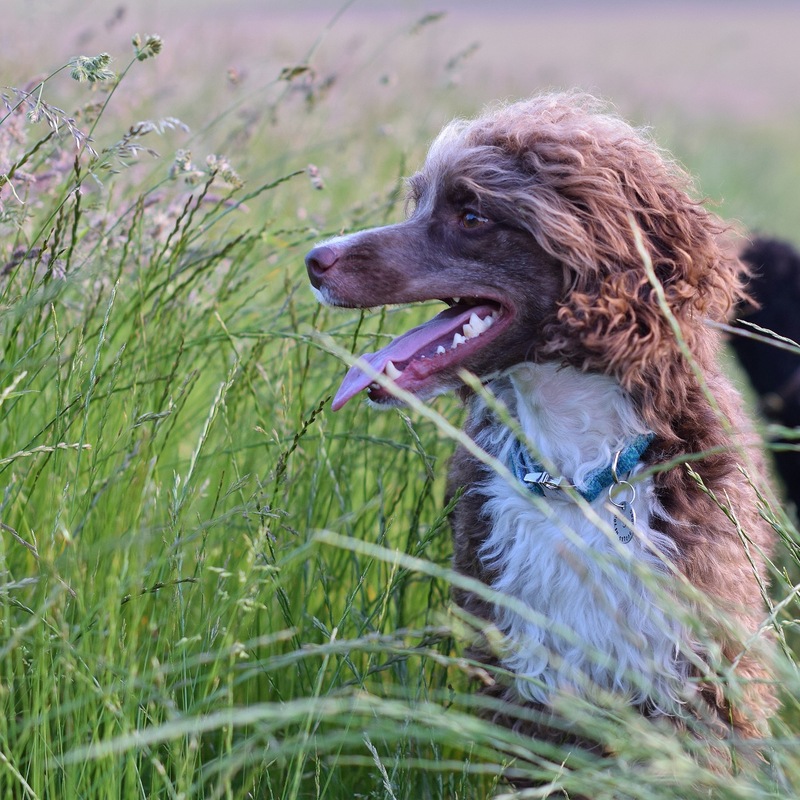 To our readers, please remember this is just our opinion and our only aim is to promote raw feeding and help people choose the right supplier for them.With that covered, on to our fifth supplier: Nutriment. 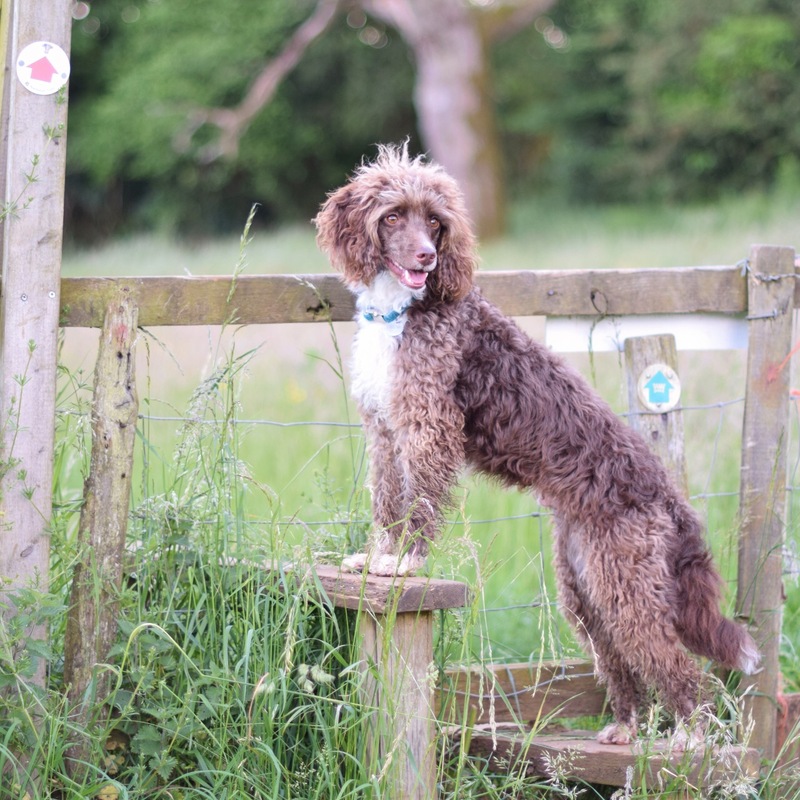 Nutriment is the last of the big three suppliers that we will be trialling. 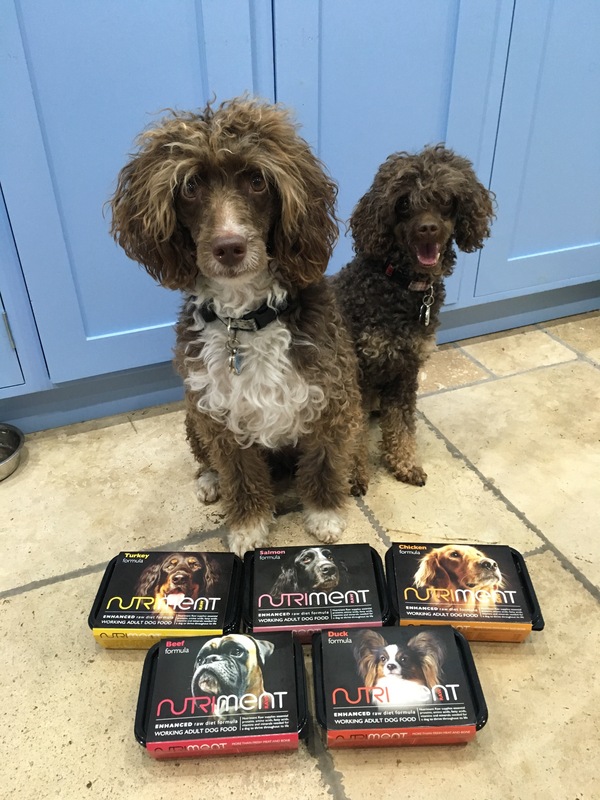 Nutriment have been at the forfront of raw feeding since they opened in 2013, they produce a staggering 180 tonnes of raw products a month and their products are available in dozens of pet shops up and down the country. They pride themselves in buying British wherever feasible, working alongside like-minded local businesses for design, printing, copywriting etc. and supporting the local community in which they operate. 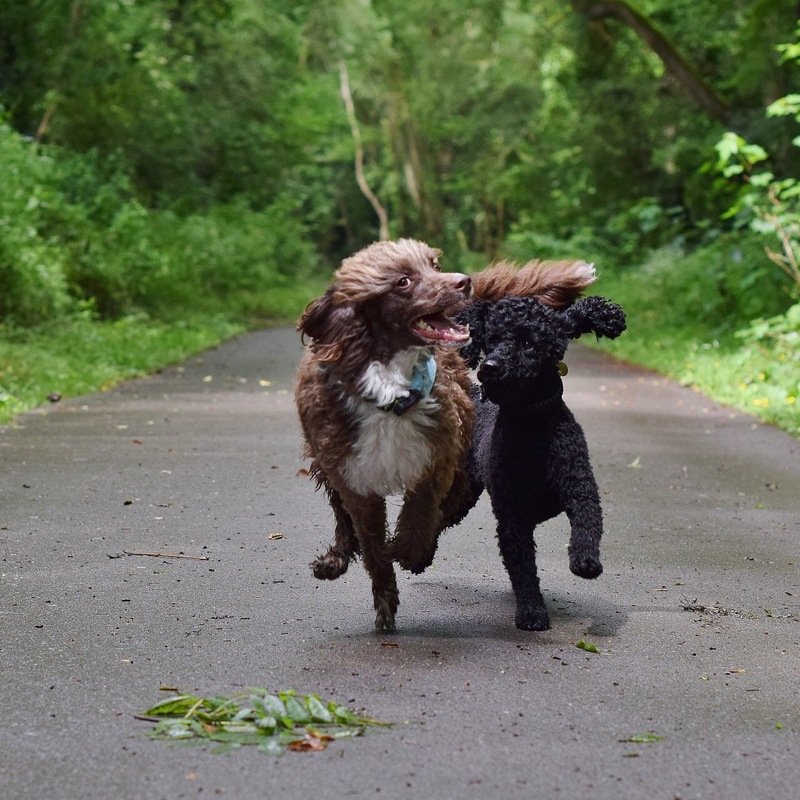 Their long term relationships with leading breeders, vets and trainers mean they’re well versed in dreaming up, fine-tuning and preparing nutritious, well-balanced pet food brimming with appetite appeal. 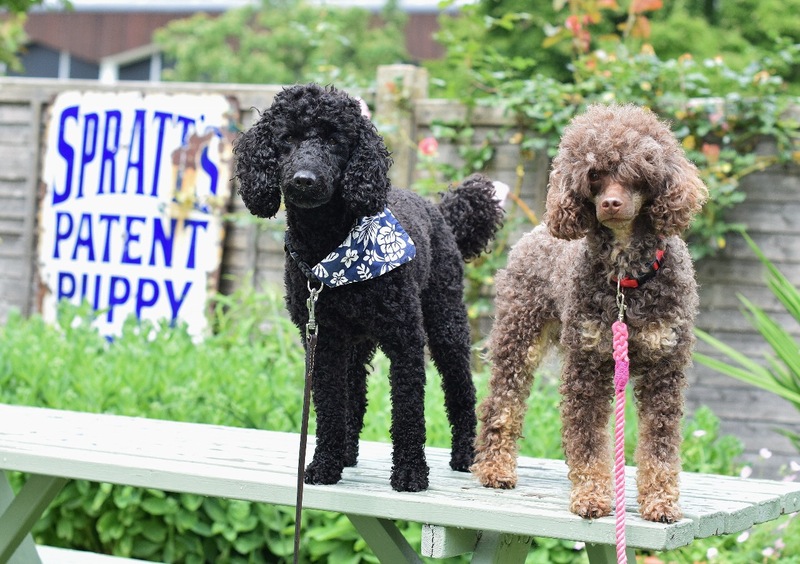 They’re constantly evolving their range of bold, fresh flavours and pioneering meal formats, appreciating that dogs come in different shapes, sizes and life stages. Conducting the review, for those of you that aren’t regular readers, are Colin and Rhapsody. 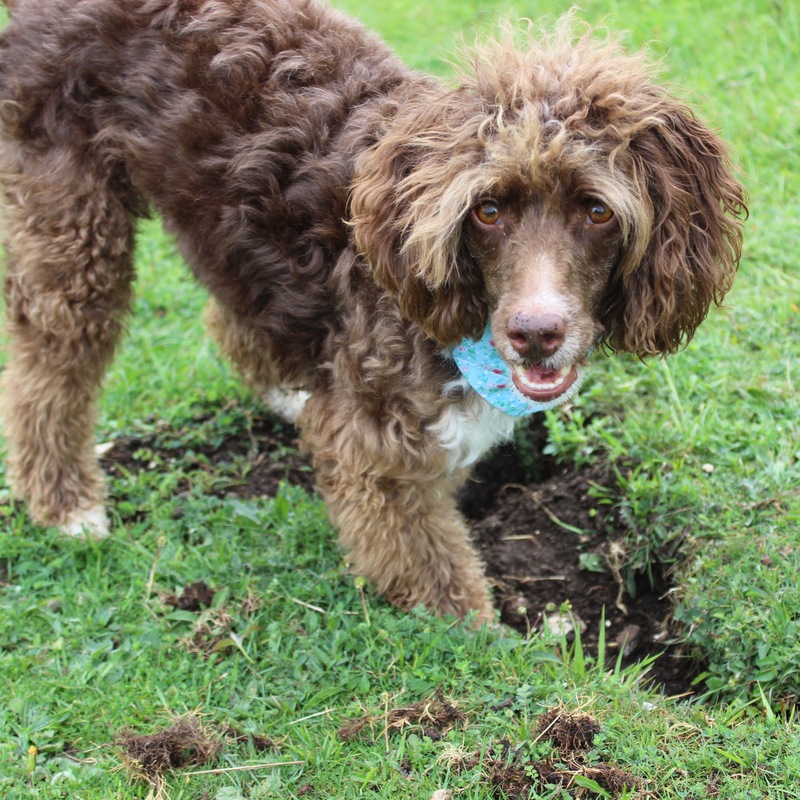 Colin is an 18 month old miniature poodle-border collie mix who weighs 10.1 kg, we have had him since October 2014 at just 8 weeks old. He has been raw fed since he was weaned off his mother’s milk and can be a little fussy about what he eats. 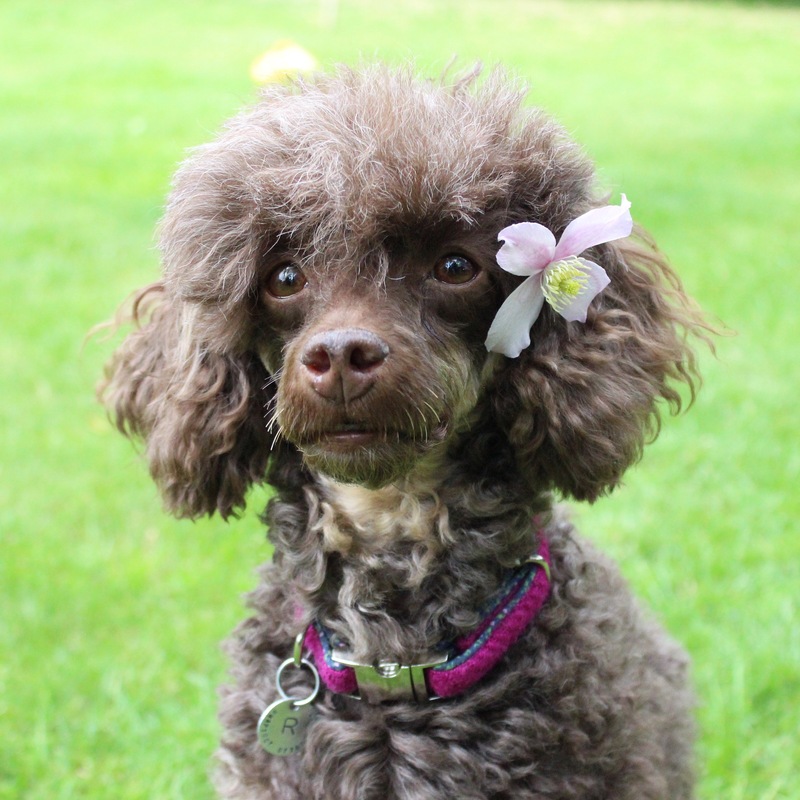 Rhapsody is a miniature poodle weighing in at just 5.2 kg, we adopted her in January 2015 from Colin’s breeder. She has been raw fed since she was about a year old and I have never seen her refuse anything edible! We received a selection of 500 g complete mince tubs in Beef, Duck, Chicken, Salmon and Turkey varieties and supplemented this with three 1.4 kg mince chubs and some meaty bones from our local pet shop. 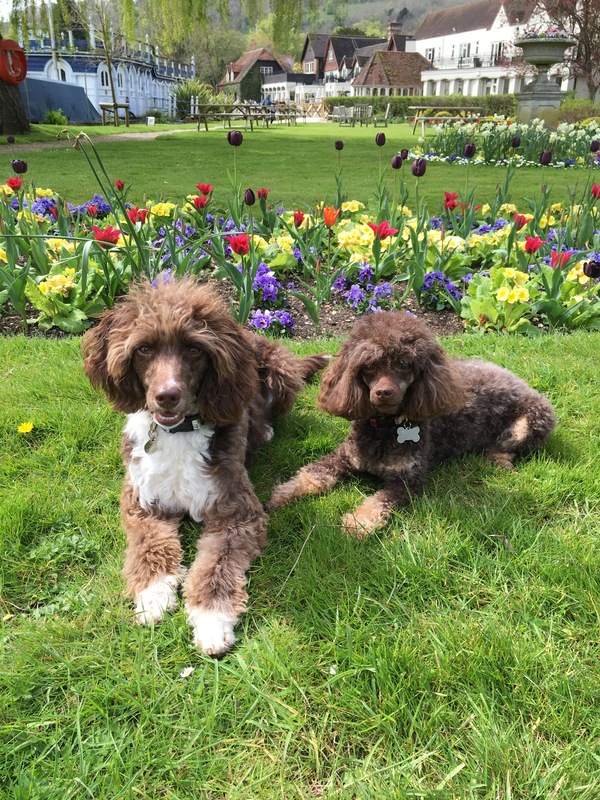 Pup appeal: how much Colin and Rhapsody liked the food (9/10) – Nutriment mince went down very well in our house. The mince wasn’t the best we’ve ever had but it wasn’t too far off. They especially liked the Turkey and Salmon minces, thankfully the Salmon did not have the same windy effects of some other fish varieties we have tried! 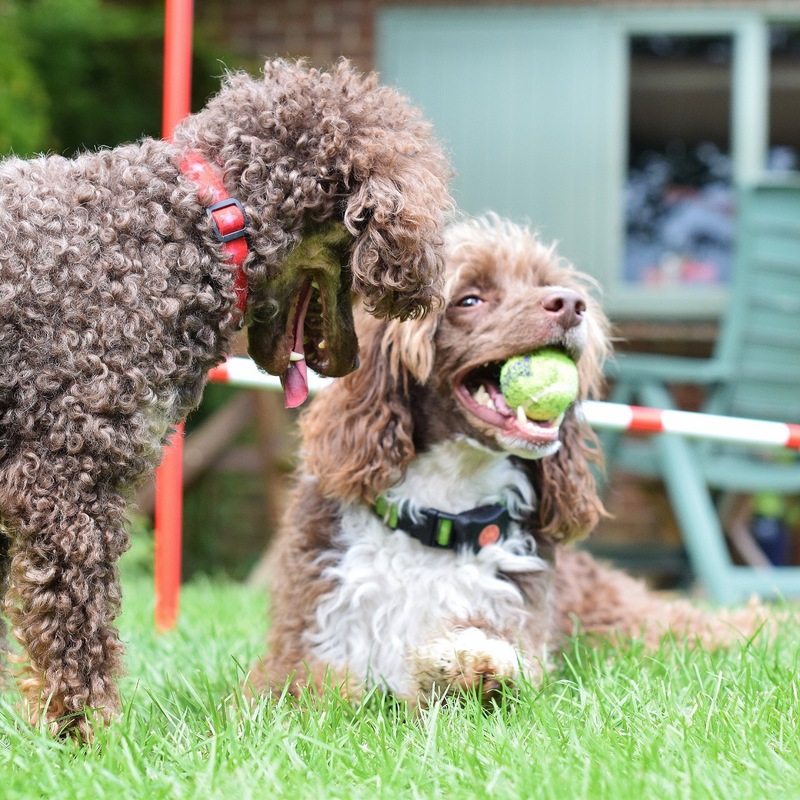 We have fed Nutriment bones since Colin was a puppy as they were available in our local pet shop and they continue to be a hit. 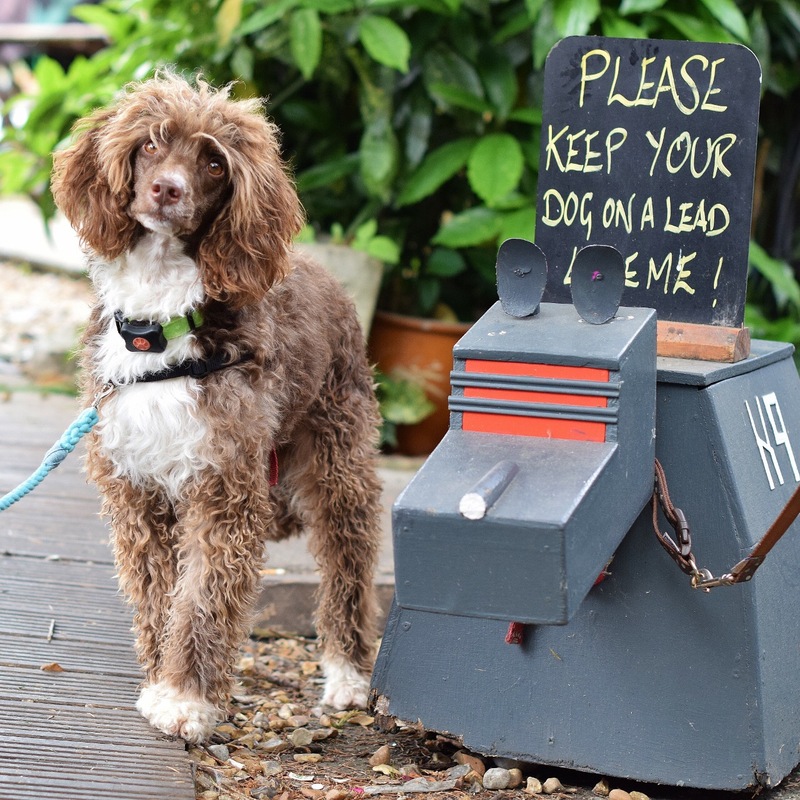 Poop rating: what it says on the tin, how good their poop is! 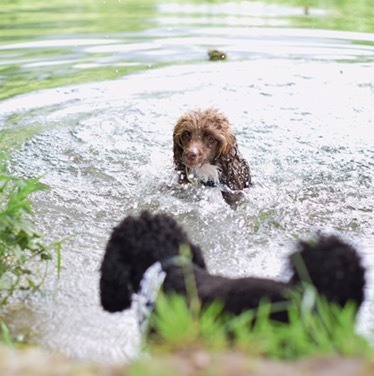 (5/5) – I cannot flaw Nutriment at all based on the pups’ bowel movement. From day 1 they were nice and firm, we didn’t have a single loose stool the entire trial. 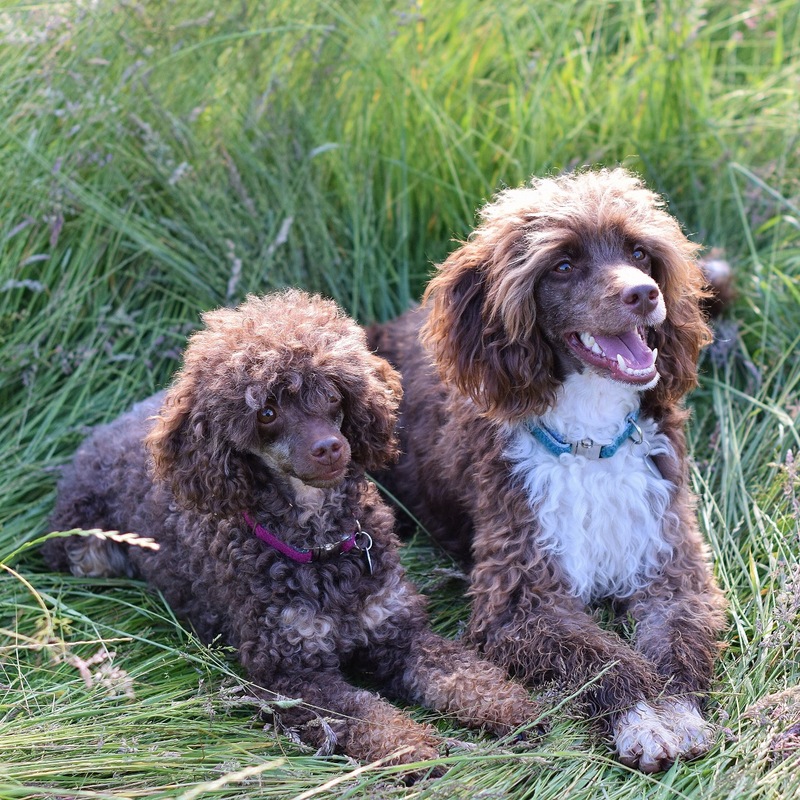 Packaging rating: how easy the food is to use/store and labelling (4/5) – Nutriment mince comes in either 500 g tubs or 1.4 kg chubs (big sausages of mince). The 500 g tubs are great, they stack well in the freezer and we had no leaking at all when defrosting which was great. If you do not use the whole tub in one sitting you can just pop the lid back on and put it back in the fridge. The chubs were a bit more of a challenge, once they are open you need to decant them into a plastic box which was interesting the first time but once you’ve got the technique down it’s not an issue! We defrosted them in ziplock bags as we assumed they would leak but we’ve had no leakage so far! 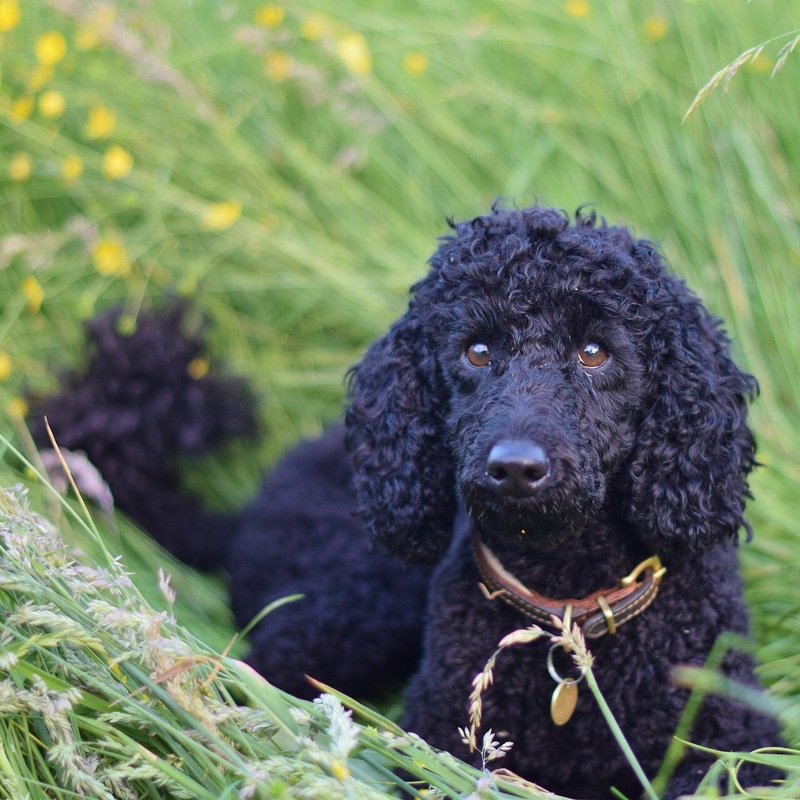 Nutriment does not have specific bone percentage on their packaging which could make using their mince tricky for those that follow a DIY raw diet. 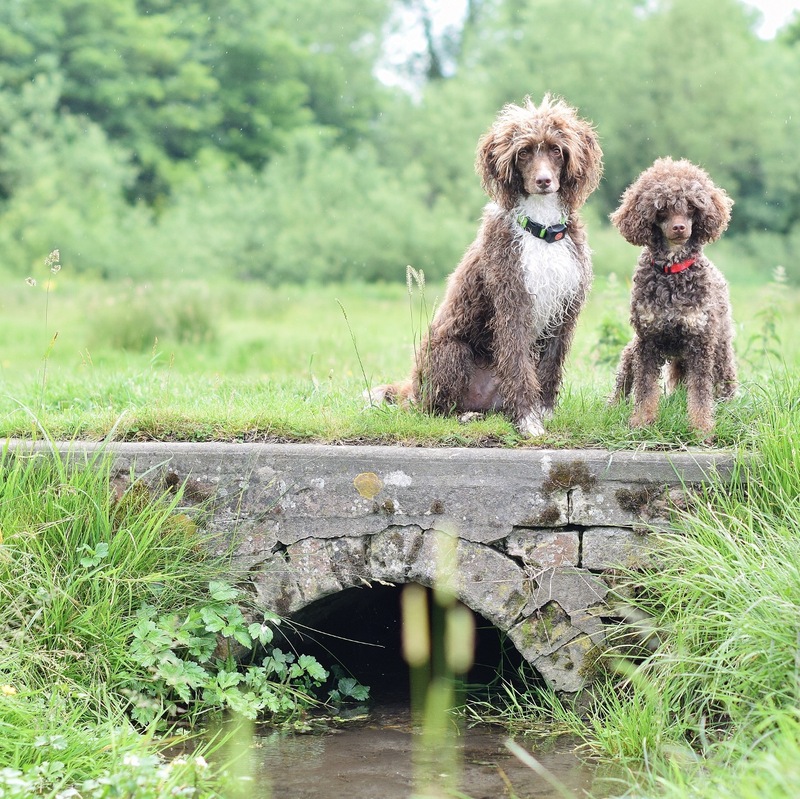 Price: value for money (8/10) – if feeding the 500 g tubs Nutriment works out to be in the middle of the field price wise; they range from £1.50 to £2.90. You can also buy multipacks of the 500 g tubs which work out at better value that buying individual tubs (10 kg for £32.00). 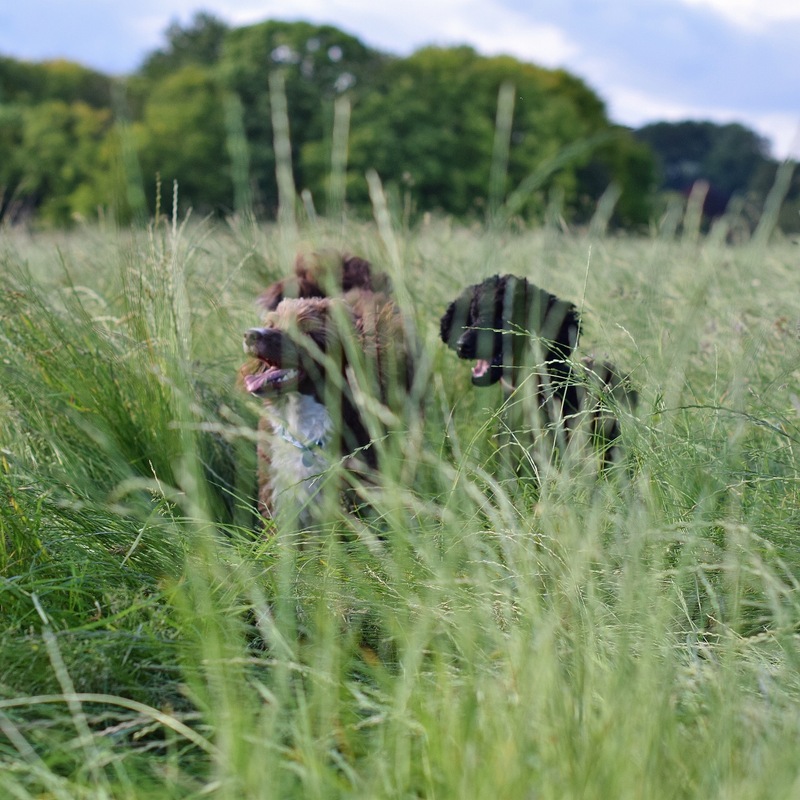 The chubs are where Nutriment comes into it’s own, if you have multiple dogs or large dogs then the chubs work out at fantastic value, in fact we have only found one supplier online that can beat them on price per kg of meat. For a 1.4 kg chub prices range from £3.40 to £6.70, if you’ve got a large doggy family they are definitely worth trying! 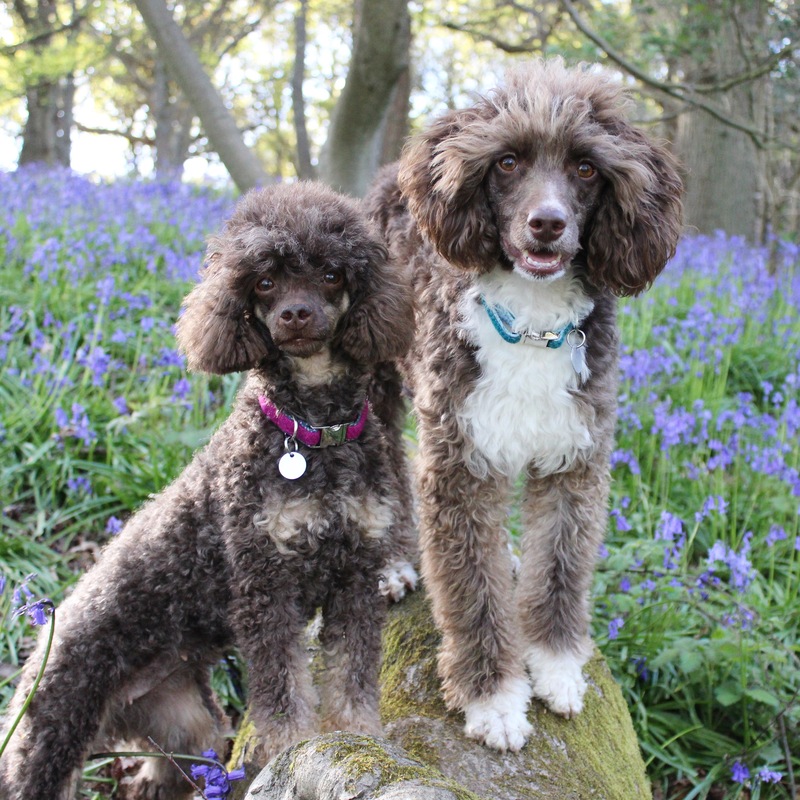 The bones from Nutriment are on the expensive end, they are of a good quality but a little too pricing for our liking. Quality: quality of the mince; quality of bones (8/10) – the minces were generally of a high quality. We found a few of the varieties was a little too bloody for our liking but overall the minces were fairly chunky and did not seem over processed. 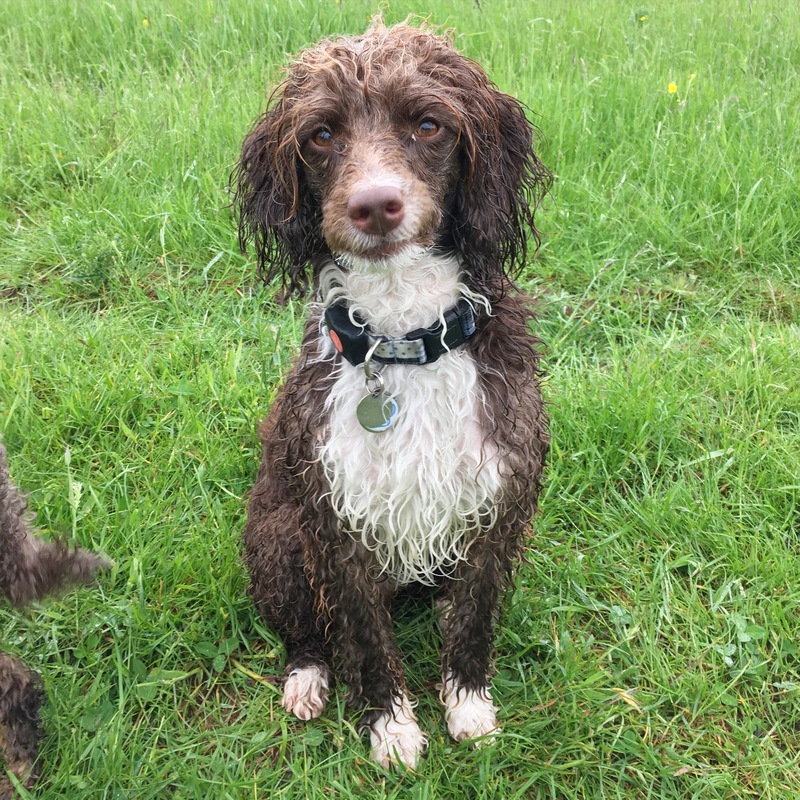 Additionally, Rhapsody had suffered from a dry nose since we got her, we always just assumed that it was just the way she was but, three days into our Nutriment trial, her nose was suddenly nice and wet as it should be! Clearly she was missing something in her diet that Nutriment provided. The bones from Nutriment were fairly average, they were quite meaty but not the best we’ve had. 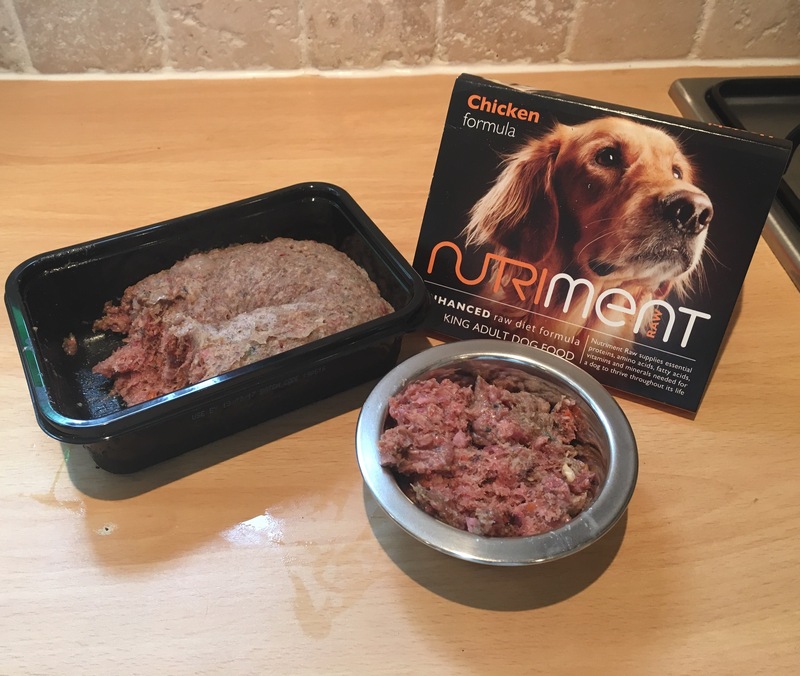 Variety of products (4/5) – Nutriment stocks a wide range of different proteins across their mince ranges. 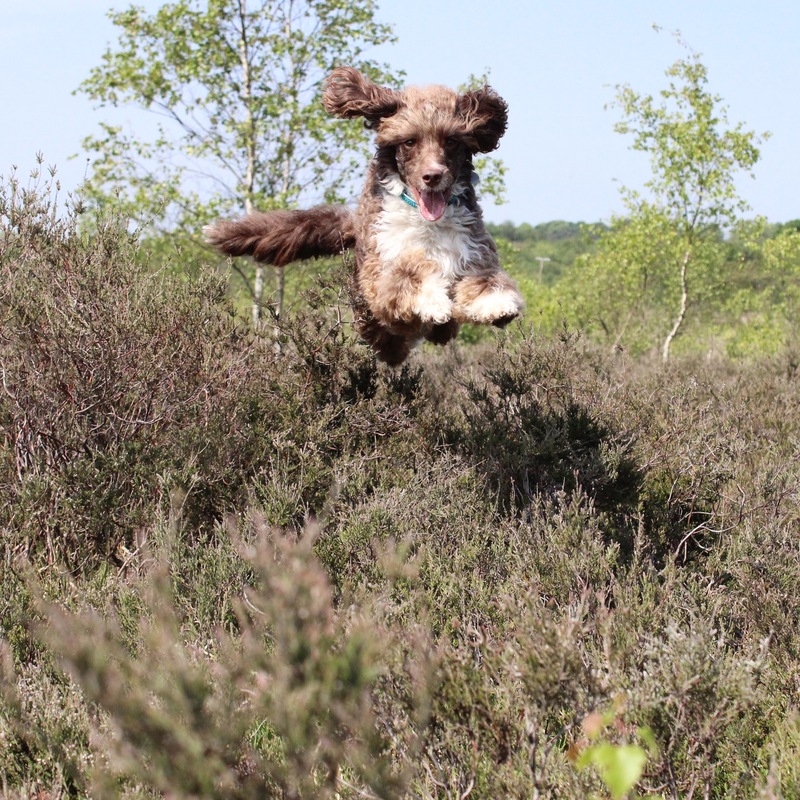 Their Adult range has nine different protein varieties including venison and duck as well as all the more widely available proteins and they also offer Puppy, Senior, Just.. and Dinner for Dogs ranges. Their bones are more limited in range, they have a variety of necks available but only four other bones. Delivery and ordering: ease of ordering and quality of the delivery (4/5) – the Nutriment website is simple and easy to navigate. Shipping is determine by the weight of the food you order, 5-12kg is £6.50, 13-24kg is £9.00, 25-36kg is £11.00 and over 37 kg is free, all ordered are shipped for next day delivery. 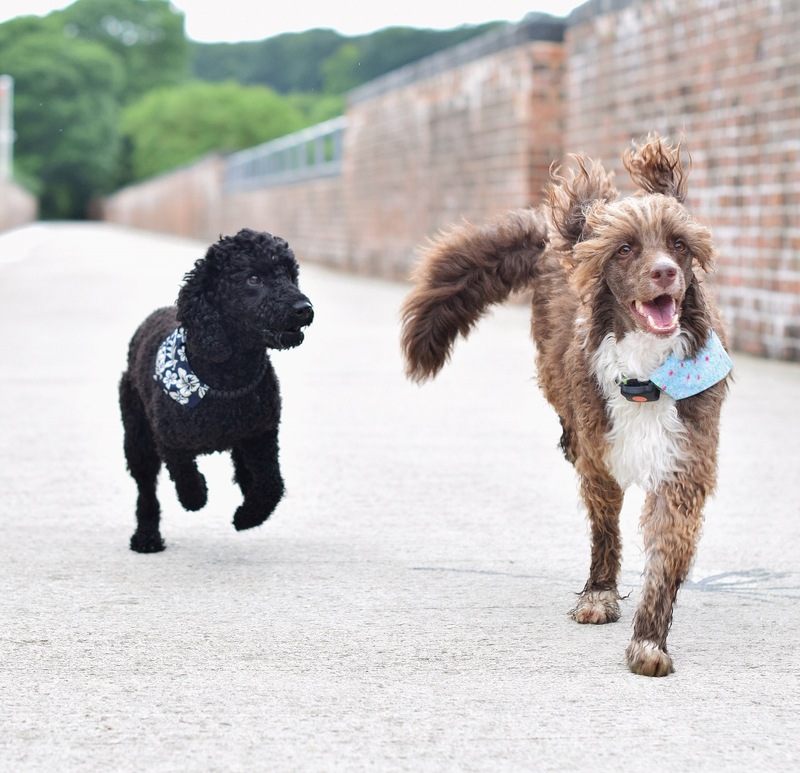 Their products are also available at dozens of pet shops around the country, their website has a retailer locator so you can locate the nearest Nutriment stockist to you. This is very useful if you do not have the freezer space to store large quantities of food! 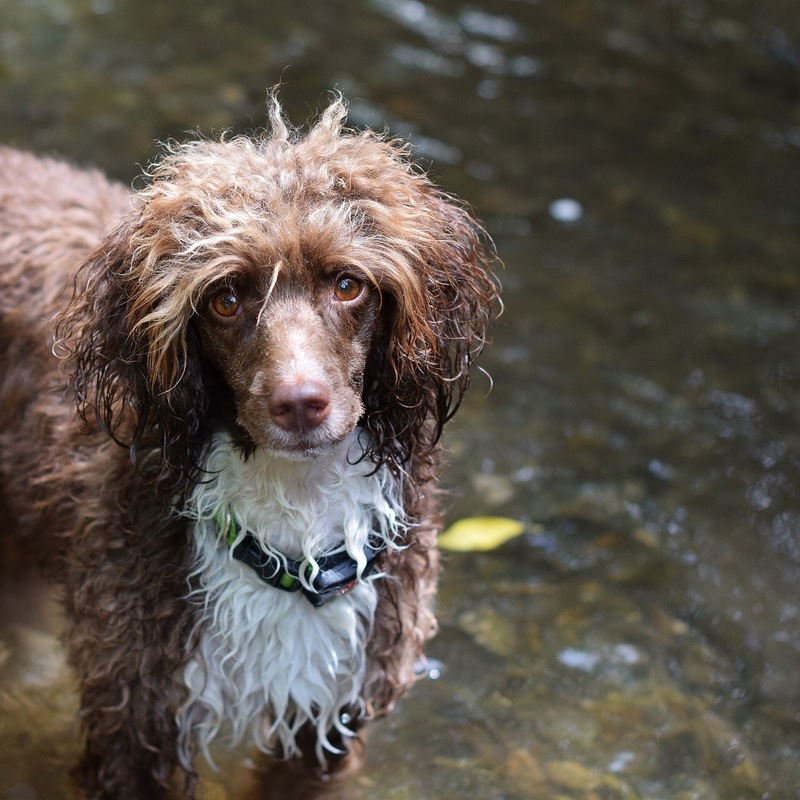 Overall we were pleasently surprised by our Nutriment trial. Of the three main suppliers we found their mince to be of the best quality and, especially when feeding the chubs, it was also the best value. 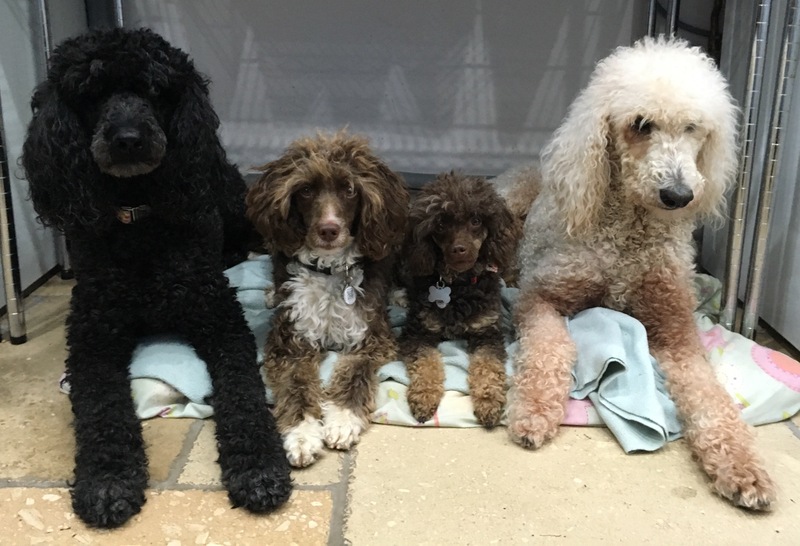 With the added bonus of Rhapsody’s dry nose clearing up, the pups thoroughly enjoyed the food that Nutriement had to offer and we would definitely recommend their food to friends and family. 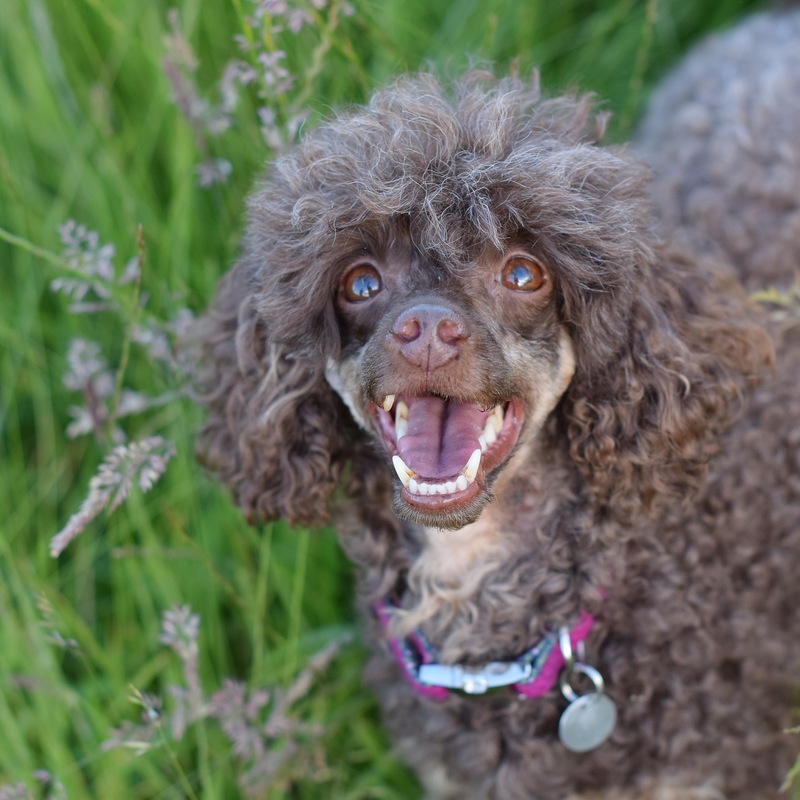 Nutriment is great for humans that want to feed their pooches a complete raw diet with as little faff as possible but I think it might be difficult for those experienced raw feeders that like to DIY due to the lack of specific bone percentages on their packaging. 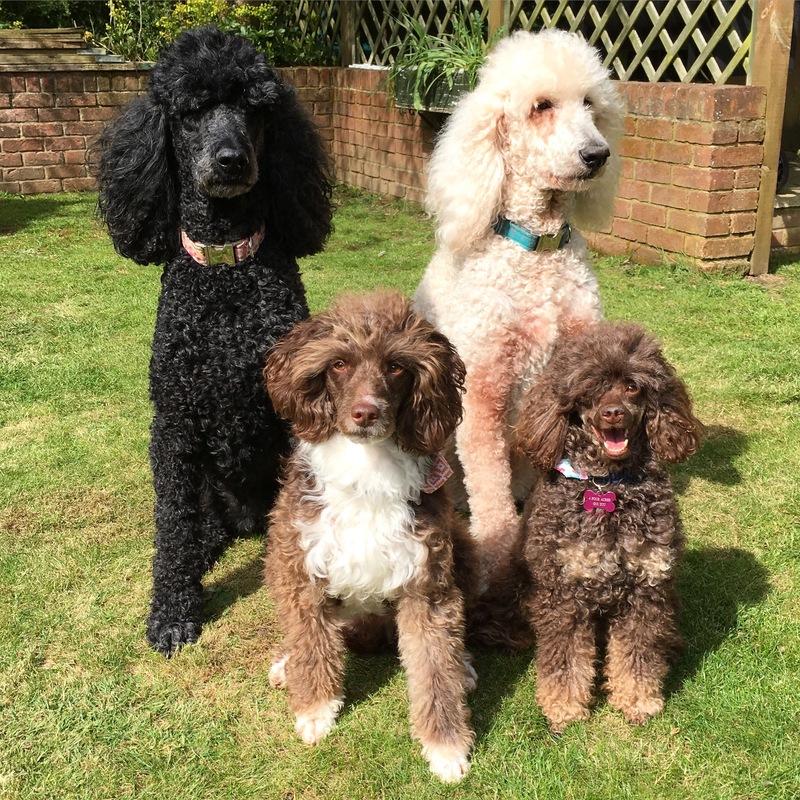 Yesterday we were lucky enough to go and spend the whole day with our gorgeous friend Tilly the poodle and her mummy Amy. 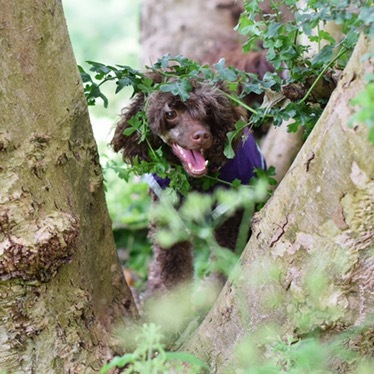 We went for three walks, had a pub lunch, agility in her garden and a special photo shoot for an upcoming event… Stay tuned to see what we have in store for you all! All photos taken by Tilly’s human, Amy. 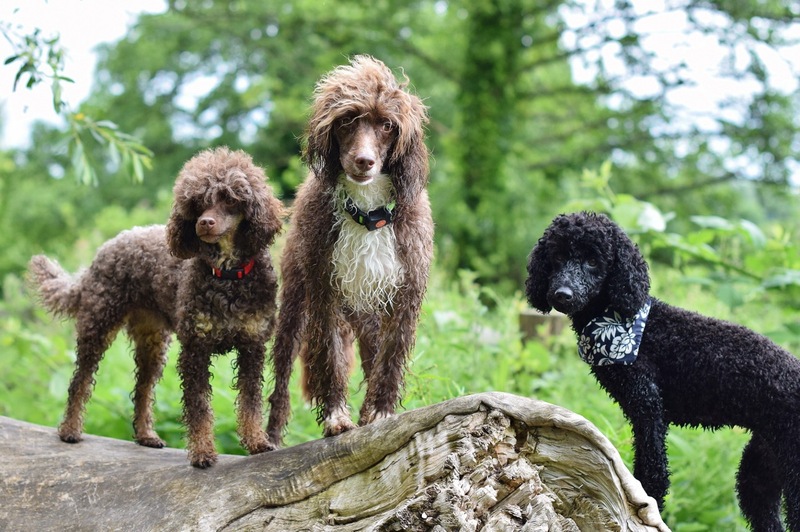 To see more of their gorgeous photos check out their Instagram page @sillytillypoodle or Tilly Poodle on Facebook!